Explore the grounds of Alnwick Castle and stumble upon some extraordinary and formidable figures of days gone by. Delve into the intriguing and drama filled history of the Percy family, as three of the Duke of Northumberland’s ancestors have travelled through time to grace the grounds of Alnwick Castle with their presence. 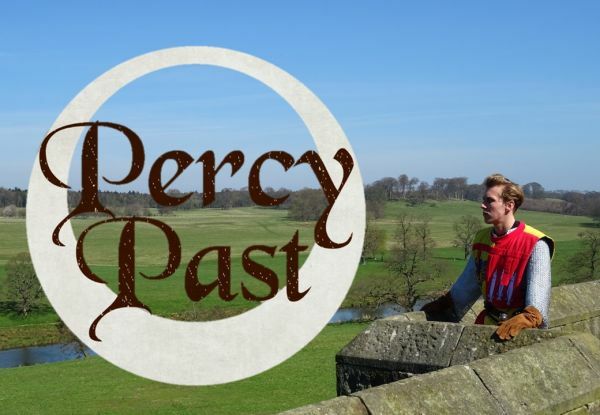 With the lineage extending almost 1000 years, come and meet some of the Percy’s most famous personalities including the courageous medieval knight Harry Hotspur, Norman nobleman William de Percy and radical pioneer and bloodline saviour Agnes de Percy, to name but a few! Collect a Percy Past trail sheet from Artisans Courtyard and begin your adventure to uncover more of the Percy’s incredible family history! Answer a series of questions along your way in order to track down the locations of these historical figures and with every section you manage to complete, you’ll be given a stamp of approval! This is the perfect fun filled activity to keep the whole family entertained and is free with admission to Alnwick Castle! Please note, historical characters may be subject to change.